NBA – The Cleveland Cavaliers host the visiting Milwaukee Bucks in their final match of the regular season at Quickens Loans Arena in Cleveland, Ohio. Both teams have just come from a win in their last game and looking to extend their wins in hopes of better playoff positioning as the season is nearing its end. Prior to the game the Cavaliers has just finished 6 – game road trip where they are 3 wins and 3 losses, remain at 3rd spot in the East Standing despite their continued struggles and limited players due to injury. Coach Tyron Lue was announce out in their games tonight against the visiting Bucks but All – Star Kevin Love is now back in Cavs starting five after missing several games due to left hand injury. The Bucks are also trying to improve their position in the East as they are currently in 7th place, a win against the Cavs could give them 1 game ahead over the Miami Heat a loss could lead to a potential tied with the Heat. In the game, the 1st quarter was toe to toe as the Cavaliers leads only 1 point at the end of the quarter 26 – 25. In the 2nd quarter, the Cavs outscored the Bucks 38 – 32, to finish the 1st half up by 7 points 64 – 57. LeBron James leads the Cavs with 19 points at the half. 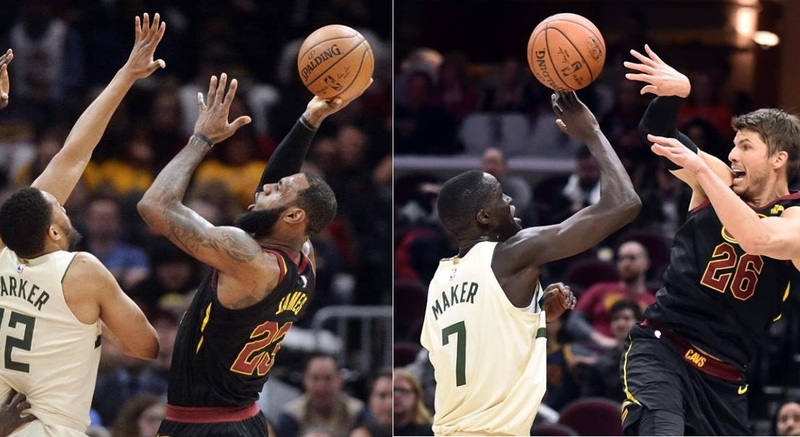 In the 3rd quarter, LeBron James exploded for 17 points to keep the Bucks away in the game outscoring their opponent 29 – 28 to finish the 3rd quarter 93 – 85 Cavs by 8 points. In the final quarter, Cavs 2nd unit specially Jordan Clarkson play big increasing their lead to 14 points while LeBron James is resting on the bench, for most of the quarter the home team are enjoying a double digit lead not until the Bucks made a mini run the cut the Cavs lead into just 6 points, 113 – 119, with 40/1 seconds to go in the 4th. Cavs hangs on to successfully win the game on the eve of Kevin Loves return 124 – 117. Cavs improve their standing to 41 wins and 29 loss just a game ahead over the 4th seeded team in the East Indiana Pacers. Meanwhile, LeBron James drop his career high 16th triple double of the season with an impressive game tonight with 40 points, 12 rebounds and 10 assist. Kevin Love scores 18 points, 7 rebounds and 4 assist in his return after suffering the hand injury..
Cavs next game at home will be the Toronto Raptors where they will be tested by the East best record. No Comment to " Cavs Beat Milwaukee on Kevin Love Successful Return "